With the launch of the iPhone 5 setting all kinds of retail records and causing queues around the block, Classic FM takes a look back at the music technology innovations from over the centuries that have brought classical music closer to the cutting edge. It's time to prove that Apple aren't the only ones who think differently! 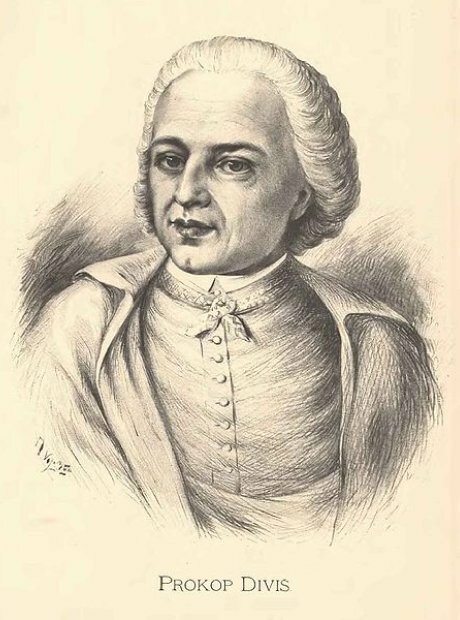 Invented by the Czech scientist Dom Prokop Diviš (pictured) in 1753, the Denis d'or (the Golden Dionysius) is widely considered to be the first electronic musical instrument. Constructed within a wooden cabinet, it had a 5ft keyboard not dissimilar to a clavichord. The electricity came from charging the iron strings to enhance the sound. Prokop Diviš even incorporated a facility for certain keys to give the player an electric shock! It might not sound like it's on the same scale as touchscreen technology, but when Haydn's trumpet concerto showcased a keyed trumpet, it was like Apple announcing they're planning a space mission. Simply, no-one had ever heard a trumpet played like that before. All previous trumpet works were limited by the ability of the player to use their lips and mouth to change the limited number of notes. 3. Demersseman - the first composer to use a saxophone? Jules Demersseman was one of the first composers to make use of the then-new saxophone in 1860, when he was in his mid-twenties. Sadly he died before Adolphe Sax's instrument really took off and became commonplace in the orchestra, military bands and jazz bands. Neatly, Mahler specified a solo violin to be tuned a whole tone above the normal pitch to give the 'Dance of Death' in his ninth symphony the necessary eerie quality. It's not so much a music technology innovation as using what was available for a different effect. A bit like putting potato waffles in the toaster. 6. Respighi - vinyl enthusiast? Ottorino Respighi's 'Pines of Rome' ends with the gorgeous sound of birdsong. But without contravening animal cruelty laws, how did he manage to get the sound into performances in 1924? Neatly, he took advantage of the emerging gramophone technology and simply played a birdsong recording at the appropriate moment. Karlheinz Stockhausen was a divisive figure at the best of times, but when he started composing the first published works for electronics in the 1950s he cemented his reputation completely. It was not unusual for him to compose for entirely electronic machines, in pieces like 'Studie II' and 'Kontakte'. Minimalist composer Steve Reich has never shied away from technology, but he first made his mark on the electronic music world with his compositions 'It's Gonna Rain' and 'Come Out'. Both use tape looping techniques and vocal samples to create a hypnotic musical effect. The grandson of the great Sergei Prokofiev proves that challenging music runs in the family. In 2011, Gabriel Prokofiev's Concerto for turntables and orchestra received its premiere performance from DJ Switch and the National Youth Orchestra of Great Britain. A great example of classical music reacting to the possibilities of technology came in 2008 when the first open auditions for an orchestra formed entirely via YouTube were announced. Since then, concerts have followed, pieces have been commissioned and the live stream of their Sydney Opera House concert was the largest YouTube stream ever. Here's their conductor, Michael Tilson Thomas. The Philharmonia gave visitors to the Science Museum the chance to experience conducting, playing in and walking around a real orchestra. Well, a virtual one anyway. The installation was centred around 'Mars' from Holst's Planets Suite, and was a fully interactive, immersive musical experience that allowed guests to get inside the sound.